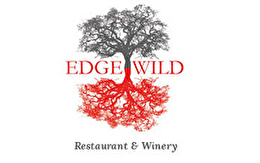 EdgeWild is locally owned and operated, with its executive chef, owners and staff hailing from St. Louis. With a love of wine, passion for amazing food and combined years of experience, they came together to create a unique dining experience reminiscent of wine country but with proud local roots. As we say, "While we can't fly you to wine country, we can give you the experience." Our menu features rich, bold flavors and uses fresh products and ingredients grown and raised locally. Each entrée has a recommended wine pairing and some our dishes have added twists like wine infusion.